"He was my second cousin. 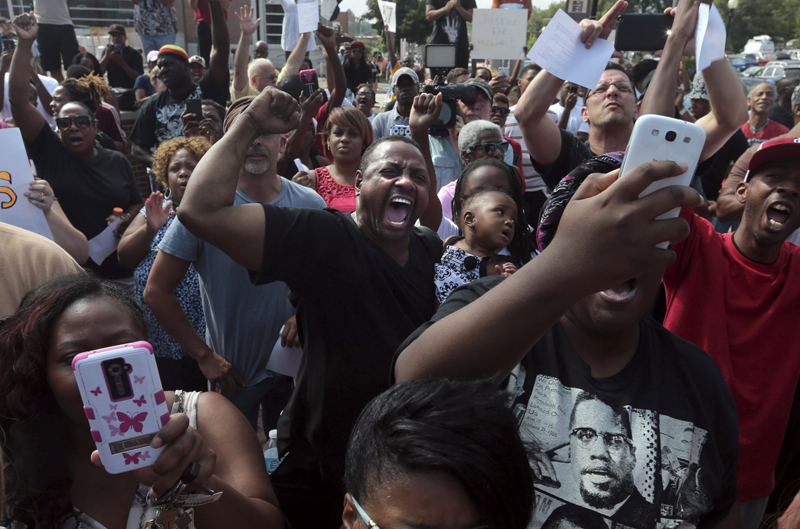 It's just so wrong," said Tony Petty who holds his granddaughter as joins a protest against the police shooting of Michael Brown in front of the Ferguson police station on Monday, Aug. 11, 2014. Marchers are entering a third day of protests.